MANILA- Senator Panfilo Lacson called for a review of police portrayal in the hit "Ang Probinsyano" series Thursday following concerns raised by Philippine National Police (PNP) chief Director General Oscar Albayalde. Albayalde on Wednesday said the negative portrayal of some policemen in the Coco Martin-starrer is unfair and "very disturbing." “I support the move of CPNP [Chief, PNP] Albayalde...Call the attention of the producers, staff of teleserye," Lacson told reporters. 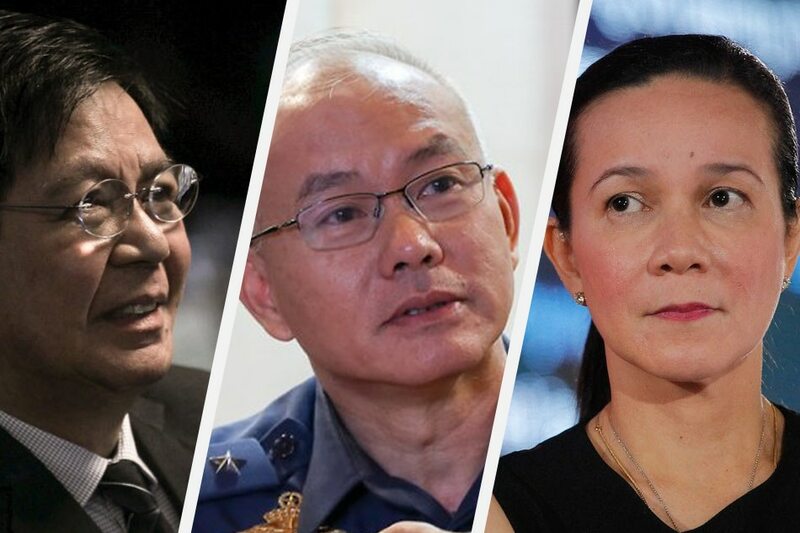 A former police chief himself, Lacson said Albayalde's concerns are valid since the negative portrayal of policemen in the series can affect public perception. ABS-CBN on Wednesday assured the PNP that elements of the series are "purely fictitious as stated in the disclaimer aired at the start of the show every night." "There is no intention to smear the reputation of any organization or portray any person in a negative light. The program has also portrayed its main character, Cardo, as a hardworking police officer dedicated to saving lives and serving his fellowmen." ABS-CBN said. "As in the past years, 'FPJAP' has highlighted that good shall always triumph over evil and has shared valuable lessons and family values that have resonated with viewers," it added. For Senator Grace Poe, daughter of the late action star Fernando Poe Jr., who originally conceptualized and produced "Ang Probinsyano," the series is merely a "modernized" way of retelling the original film. In a statement, Poe said she is grateful for the series since it promotes good values. “We are grateful because the series not only honors his (FPJ) legacy in the industry, but also offers to the Filipino televiewers quality of entertainment that espouses the values of family, respect for elders, courage and patriotism," she said. "Puwede nating sabihin na 'bato-bato sa langit, tamaan ay wag magalit,” she added. Poe added that the public should look at the "bigger picture" of the series' plot which is the unrelenting fight of the protagonist for the good.